Feel like getting more involved in the community? The PCA will be electing a new Committee at the AGM on Thursday 21 February. All Prestonville residents over 16 are eligible to vote. If you’d like to join the PCA Committee, please email your name and address, and those of one person to nominate you and another to second the nomination, to info@prestonville.org.uk by 20 February. Or phone 07859 076 141 to discuss. After a burglary in York Villas and another recently in Stanford Road, police are warning residents to take care. Neither burglary was a forced entry, which suggests that the thieves are on the lookout for properties that are open or easy to get into – so make sure your doors, windows and gates are locked. The Prestonville Community Association fully supports the efforts of The Hall Get Involved group to purchase the Church Hall. At our committee meeting on 17th January we passed a motion urging the PCC, in the event of THGI being unable to raise the £200,000 asking price by 31st January, to be willing to negotiate over the price. This is in consideration of the fact that THGI has achieved so much already in such a short space of time and that the PCC has been clear in the past that it supports the idea of community ownership of the hall. 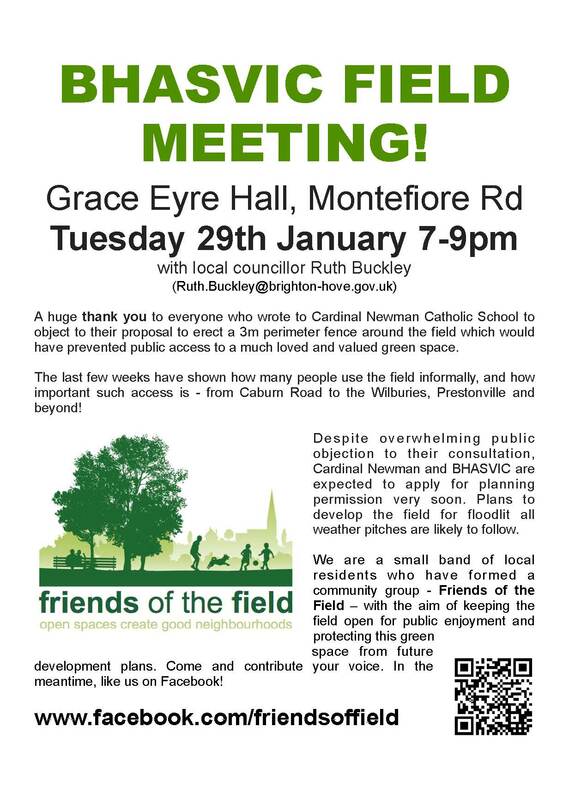 The Prestonville Community Association urges Cardinal Newman and BHASVIC to commit to maintaining informal public access to the playing field. The PCA and St Luke’s Church have organised a group of people in the area who can help you during extreme icy weather or snow. If you can’t get out, and would like a neighbour to do some shopping, or clear snow from your path, telephone 55 77 72 and Revd Martin Poole will arrange for someone to come round and help. The Seven Dials road project – narrower lanes, wider walkways, zebras and all – has been approved by the Council’s Transport Committee. Work could start in early March, and should take five months at the most.